Devon is our beautiful black and white tobiano stallion. 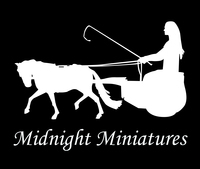 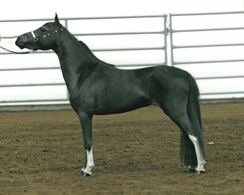 In 2007 he won the North West Miniature Horse Club 2 Year Old Futurity. He has produced many outstanding foals. 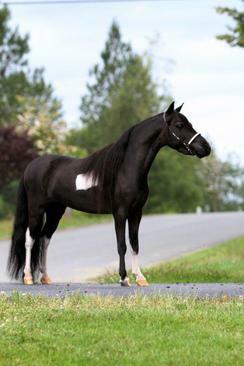 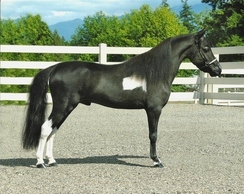 Many of his foals have won championship titles as they really stand out in the show ring. 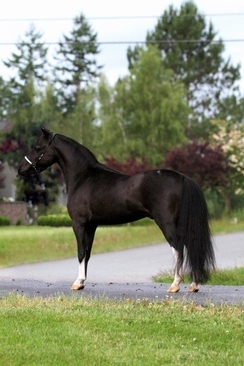 He produces refined foals with beautiful head and neck sets, correct proportion, and outstanding color patterns. 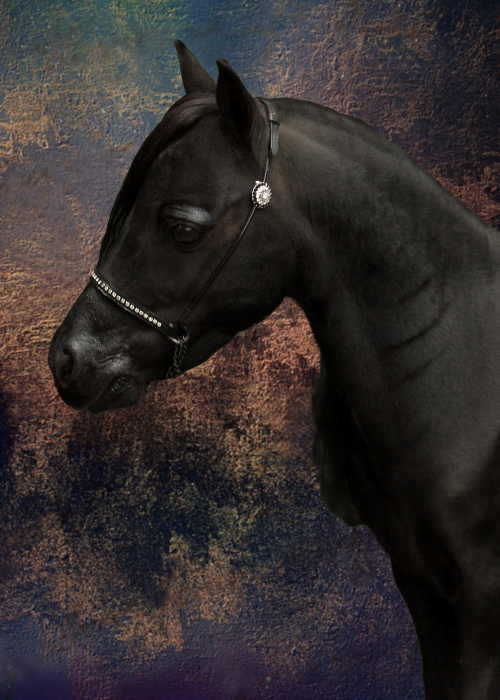 He is the perfect example of grace, beauty, and refined excellence.